Holiday house at 1 km from the Sicilian village Partanna which is famous for its antique medieval castle. Holiday house at 1 km from the Sicilian village Partanna which is famous for its antique medieval castle. The house on 2 levels is situated in a residential area in the hills and from the balconies you enjoy a view over the sea and the surrounding land. In the well-kept and fenced garden you will find the swimming-pool, whilst on the back of the house you will enjoy a nice barbecue area. On the ground-floor you will find the entrance and on the 1. floor a living/dining room, the kitchen, 4 double bedrooms with balcony and 3 bathrooms. At 20 km the seaside resort Selinunte, a small village which is famous for its beautiful, sandy beaches and for the archeological park. Marsala at 62 km. This solidly constructed villa was originally built in 1990 and refurbished in 2009. 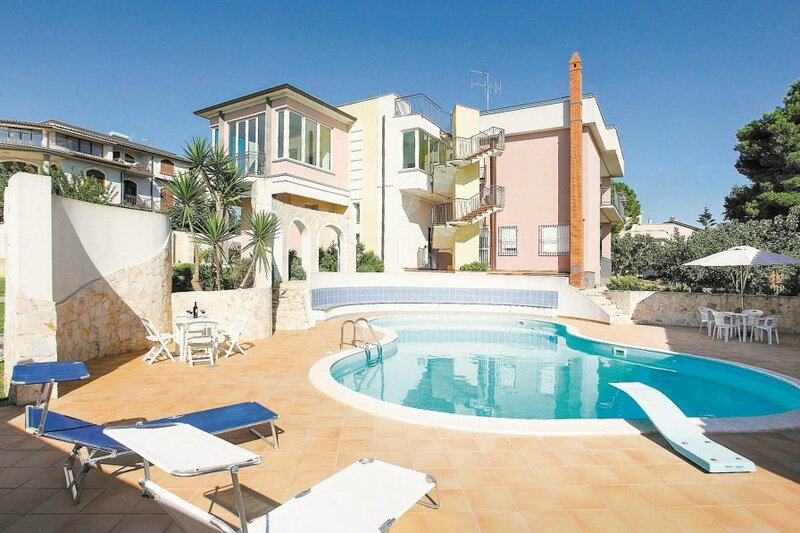 The agent has rated it as a four star property so it is a well-equipped villa with above average furnishings. It is also great value for money. This villa has a swimming pool; it is also only 1km from Partanna. It is set in a good location: there is a restaurant 1km away.